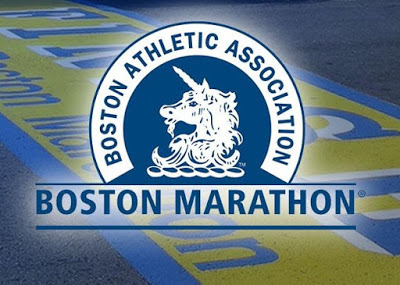 This Monday, 15 April 2019, sees the second World Marathon Major race of 2019, the Boston Marathon, in Massachusetts, USA. As per all the other World Marathon Majors that aren’t the London Marathon, it’s not a race that gets a lot of coverage in the UK, beyond the specialist running press. This is unfair, because the Boston Marathon is one of the greatest races in the world. 2019 will be the 123rd running of Boston, making it the world’s oldest marathon by far. Whereas other races are set up for fast times on a flat course, Boston is a point to point race with hills. There are no pacemakers and all runners – elite and amateur alike – know they will have to work hard to judge their effort perfectly if they want to finish strongly. It might have very few corners, being run mostly in a straight line, but the course undulations will disrupt your rhythm, wreaking havoc with your pacing. Around 500,000 spectators line the route to cheer on the 30,000+ runners as the race becomes one big party on the Patriots’ Day public holiday. 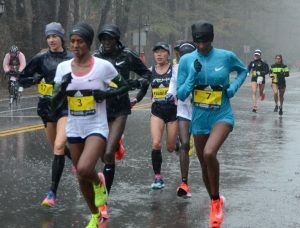 Internationally, it perhaps ranks behind London and Boston as the first choice spring marathon for the very top elite runners. London has the budget to get the fastest men and women in the world to race, and is an attractive proposition to those looking for fast times and big prize money. 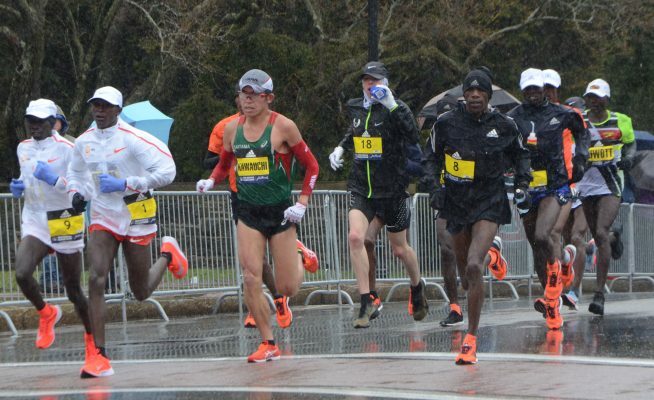 However, the history of Boston and the special place it holds in the running world, means it is still able to attract a high quality elite field, signing up those runners looking to slug it out on the challenging course in a championship-style environment, rather than pace themselves to a PB. Naturally, the top Americans are usually in attendance. Don’t expect fast times, as the course is known to be a challenging one. It’s a point-to-point course, so a headwind can cause problems – though a tailwind has been known to give runners a boost some years. There are hills throughout, including the evocatively named Heartbreak Hill that corresponds with ‘hitting the wall’ for many runners. Adding further to the difficulty is that 2019, like last year, is expected to be run in horrendous weather. A storm is predicted to hit New England on Monday, with wind, rain and possibly even snow forecast. If this happens, then like last year, you can rip up your form book and throw any predictions in the bin, as the winner won’t necessarily be the fastest runner, but the toughest. This is what happened last year, when Kawauchi and Linden topped the podium. If this has gotten you excited about the Boston Marathon and you fancy running it in 2020, how can you get in? Like Tokyo, the first option is to be fast at running. Part of the allure of Boston is that historically it has only been open to people running fast times. These are range from sub-3 hours for a male aged 18-34, to sub-4:50′ for men aged 80+. For women, the qualifying times range from sub-3:30′ for 18-34 year olds, to sub-5:20′ for women aged over 80. However, this isn’t the whole story, as hitting the target time only guarantees you the chance to enter. To restrict the numbers, entries are then further whittled down by only accepting the fastest runners in each gender and age block. The details are listed on the Boston Marathon website, but what this means is that a 42 year old woman, who has hit the sub-3:40′ entry standard might need to have run sub-3:35′ to have her entry accepted. It’s tough, but getting a ‘Boston Qualifying’ time (AKA a ‘BQ’) is a significant achievement for many runners, especially in the States. If your PB isn’t quite that quick, then there are other ways to enter. You could try and get one of the few charity spots available, but these are, understandably, usually filled up by American runners. For guaranteed entry, there are tour operators who act as official agents for the race and have a limited number of spaces available to them. Get in touch with one of those, hand over your money, and you could be on your way to Boston. Have any of the Lonely Goats run the Boston Marathon? If so, please let us know what you thought of it, how you got on, and share any tips for others who are interested in running it. If you’re running it this year, let us know in the Facebook Chat Group so we can cheer you on. Good luck trying to find a free, legal, online stream of the race in the UK. Your best bet for following it might be the Boston Marathon Twitter feed: @bostonmarathon. Alternatively, you can pay to view it via Flosports.